Who needs a pinkie, anyway? I’m not going to say this is a big series for the Mets. Starting tonight, our favorite team from Flushing goes to the Ted in Atlanta for a three game series. This is not an important series. After all, it’s crazy to say a mid-April series is meaningful. 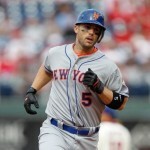 But it is a barometer – a way to get a feel for just who this Mets team is early in 2012. They’ve started 6-3. They’ve swept the Braves already in New York. But now, the Braves are on a roll, having won five straight. The Mets have played .500 ball in that time. New York did take 2 out of 3 from the Phillies in Philadelphia, which is always a good thing. But they faced a depleted lineup. Was the starting pitching that good over the weekend, or was the Phillies’ lineup that bad, sans Chase Utley and Ryan Howard? 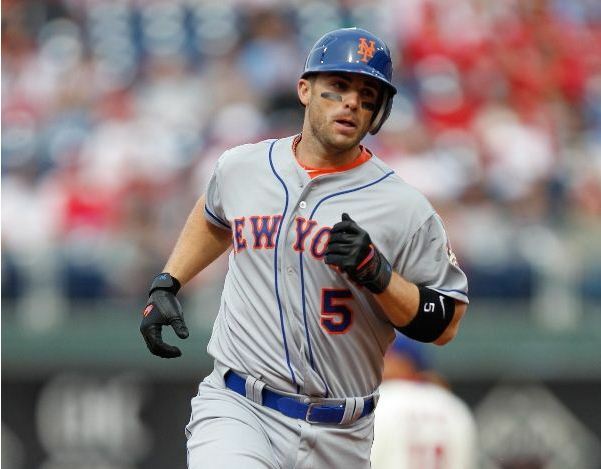 The Mets have David Wright back, and he raked all weekend against the Phils. Yet another Met, Jason Bay, came down with jammedfingeritis, and missed Sunday’s game. I think I can speak for all Mets fans when I say, “meh.” Is he really that much of an improvement over Scott Hairston at this point? Lucas Duda and Ike Davis showed improvement over the weekend, and while they are still not exactly white hot, production from the two young power hitters will be helpful against the Braves, and the rest of the league. How will they, and the rest of the lineup fare the second time around against Tommy Hanson, Randall Delgado, and Jair Jurrjens? It will be more interesting to see how Dillon Gee, R.A. Dickey, and Johan Santana perform against the Braves lineup, which has scored 31 runs during their winning streak. It’s not at all like this series means anything right now. But we’ve seen a Mets team, during the earliest of the early part of the season, that has enjoyed some tenuous success. Facing a hot Braves team will tell us more about who the 2012 Mets are capable of becoming – a surprising come-out-of-nowhere group of world-shockers, or the dismal pile of mediocrity in blue and orange that everyone expected. But then again, it’s early. Paul is a freelance writer, blogger, and broadcast technology professional residing in Denver. A New Jersey native, he is a long-suffering Mets fan, a recently-happy Giants fan, and bewildered Islanders fan. He's also a fair-weather Avalanche and Rockies supporter. In his spare time, he enjoys the three Gs: Golf, Guitars, and Games. Or, a not dismal middle of the road team that is respectable but not good enough to beat a tough division who have a good shot of having two teams playing after Game 162. 1. On Sunday the Phils scored 8 runs in 2 innings……against Manny Acosta and Martinez so somethings are normal. -CPT Kirk is for real…he always was. His defense in CF is already a big plus. As Darling noted yesterday he gets GREAT jumps (ala CB) and makes it look easy. Basically, if the Mets continue to improve defensively, and get good pitching they will be OK.
Also of note: The new fences have helped Duda, Wright, Ike and Kirk. Not just getting home runs, but it is reflected in their confidence..at the plate and in the field. ROSTER: Can Manny Acosta-. Batista is essentially the 12th pitcher. Acosta is more woodsman than fireman. -If CPT Kirk continues, than there is NO spot for Torres. Tejada has excelled in the leadoff spot…dont move him out. And Kirk has Hairston to split time with him. – the discussion of how Tejada took leadoff duty from Pagan who complained about batting leadoff …(news?) and Tejada volunteered to leadoff. -You HAVE to like this team..that essential Omar built. Virtually 75% of this roster is home grown. Wow. We’re gonna win a lot of games this year if just one of the guys in the middle of the lineup comes up big. We’ve got the 3-4-5-6 guys who all have power potential (each has multiple home runs this year). Just one of them has to go yard (tonight Davis and Bay both obliged) and chances are we’ll win the game. That’s an Amazin’ luxury to have, and it’s sure paid its dividends so far this year. Another great win! Couldn’t agree more with the post. There’s no reason to get overly excited yet but at the same time winning feels good. It was less than a month ago that analysts said this team would be lucky to reach 72 wins. Proving those analysts wrong makes each win that much sweeter. Mets fans, cautiously optimistic! Let’s Go Mets!